The Stock Exchange of Mauritius Limited (SEM) was incorporated in Mauritius on March 30, 1989 under the Stock Exchange Act 1988, as a private limited company responsible for the operation and promotion of an efficient and regulated securities market in Mauritius. Stock Exchange of Mauritius was opened to foreign investors following the lifting of exchange control in 1994 and SEM became a public company in October 2008. Over the years the Exchange has seen a significant transformation of its operational, regulatory and technical framework to reflect the ever-changing standards of the stock market environment worldwide. Today, SEM says it has become one of the leading Exchanges in Africa and a member of the World Federation of Exchanges. Committed to becoming a world class stock exchange, SEM positions itself as a service-driven and operationally reliable organisation with world-class trading and settlement capabilities, which incorporate and maintain the fundamental principles of market integrity, investor protection and efficient price discovery. In an effort to become even more attractive to foreign investors, in 2011 SEM became the first Exchange in Africa to list, trade and settle equity products in US dollars. It has also been able to trade and settle equity and debt products in Euro and GBP since 2010. “This innovative thrust positions SEM very favourably on the international front and contributes to the internationalisation of the Exchange,” said the company. Located on a small idyllic island off the Southeast coast of the African continent in the Indian Ocean, just East of Madagascar, Mauritius is a multicultural haven with historical influences from Europe, Africa, India and China. The country has been described by residents as a safe place to live and it has been recognised internationally for its respect for a peaceful government and rule of law. The island became independent in 1968 and has reportedly enjoyed political stability ever since, democratically electing a new leader and cabinet every five years. 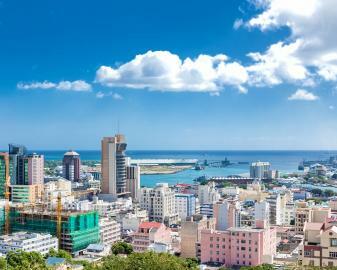 Over the last 40 years, Mauritius is believed to have sustained an average GDP growth of five per cent and from its core industry around cultivation and sugarcane, it has diversified into an economy consisting of agro-business, manufacturing, financial services, tourism and property development, to name a few. Emerging sectors include healthcare, life sciences, renewable energies as well as even filmmaking. Not unlike SEM, Mauritius has been working hard to market its attractive investment climate and as such, this year it was recognised as the top business friendly destination in Africa, as well as number 23 globally, according to the World Bank Doing Business Survey. SEM operates two markets: the Official Market and the Development and Enterprise Market (DEM). The Official Market started its operations in 1989 with five listed companies and a market capitalisation of nearly US$92 million. Currently, there are 42 companies listed on the Official Market representing a market capitalisation of nearly US$6 billion as of March 29, with the top three companies including The Mauritius Commercial Bank Limited, Vivo Energy Mauritius Limited and ENL Land Limited. The DEM was been launched in August 2006 and there are presently 47 companies listed on this market with a market capitalisation of nearly US$ 1.4 billion, as reported in March, with Margarine Industries Limited, ABC Motors Co Limited and United Bus Service Limited rounding off the top. According to the Exchange, the DEM is a market designed for small-to-medium sized enterprises as well as recently launched companies that can prove a sound business plan and demonstrate a good growth potential. “It is meant for companies wishing to avail themselves of the advantages and facilities provided by an organised and regulated market to raise capital to fund their future growth, improve liquidity in their shares, obtain an objective market valuation of their shares and enhance their overall corporate image,” said the company. Eleven investment dealers operate on the SEM and each investment dealer holds a license granted by the Financial Services Commission. Since its inception, SEM has been going through a tremendous amount of growth and its efforts to establish itself as a world-class organisation have not gone unnoticed. In September, SEM won the “Most Innovative African Stock Exchange of the Year” award – for the second year in a row – at the Institutional Investment Summit and Index Series Awards organised by Africa Investor, a leading international research and communication group, in association with the New York Stock Exchange Euronext. It beat out eight tough competitors, including the Johannesburg Stock Exchange, Egyptian Exchange, Nairobi Stock Exchange and Ghana Stock Exchange. The award was given on the basis of a number of criteria, including initiatives implemented by the Exchange to embrace new areas of development, programmes in place to enhance the services it provides to its key stakeholders and compliance of the Exchange’s regulatory and operational set up with international standards. In December, SEM’s chief executive, Sunil Benimadhu, was also re-elected as chairperson of the African Securities Exchanges Association (ASEA) for a term of two years at the 16th ASEA annual general meeting in Cairo, Egypt. The Exchange’s dedication to remaining globally competitive inspired the company, in 2001, to launch SEM’s Automated Trading System (SEMATS). The company describes it as a state-of-the-art electronic trading system built on third generation technology. With globally-respected leadership, a commitment to evolve with industry trends, as well as offer attractive listings, SEM is looking ahead while maintaining its goals to move from a domestic-equity-focused Exchange to a multi-product-internationally-focused Exchange. Subscribe to Newsletter and get a Free African Business Joiurnall.Also Stay updated! Tabj.co.za is an online magazine that brings you the latest South Africa Business News from the best and most popular Business Magazines in South Africa and the region. Read all about the latest business developments in South Africa and the surrounding region, as well as political news and updates. On this website, you can find articles from industry experts and African American Business People that will show you the inside of the business world of South Africa. Moreover, we also make sure to regularly update our South African Historical Journal detailing many events from this country’s history and significant events. If you want to stay in the know be sure to subscribe to The African Business Journal News newsletter and follow and like us on our social media profiles. Welcome to the best online news and magazine portal for South Africa Business News. Shriveled by a sluggish global economy and the gradual collapse of the pharmaceutical market in the United States and on the old Continent, large global groups are considering a new look the African market. It began a decade ago and became the trend. Euler Hermes saw a 17% increase per year in Africa and Asia by 2015 – compared to only 1.3 percent in North America and 0.4 percent in Western Europe. For many years, developed countries have been privileged. But today, their health insurance systems go wrong and Labs there are more and more involved. So, they seek growth drivers, particularly in Asia and Africa.